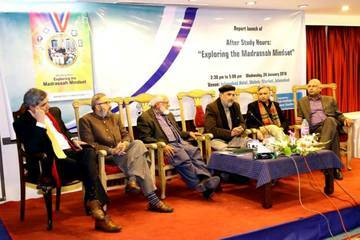 Pak Institute for Peace Studies Pvt Ltd. (PIPS) is a research and advocacy think-tank. 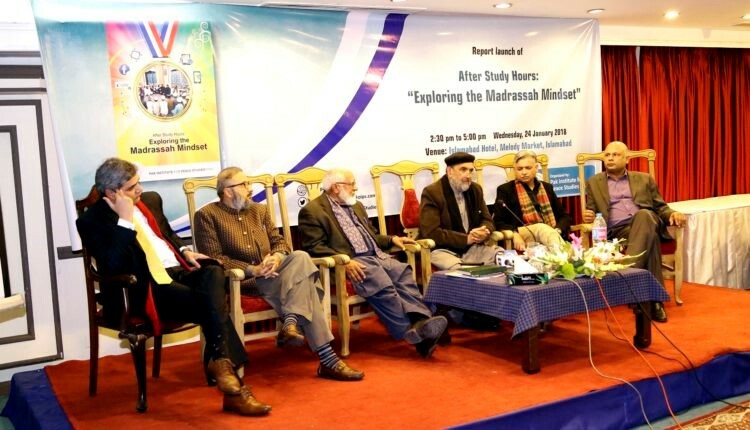 An initiative of leading Pakistani scholars, researchers and journalists, PIPS conducts wide-ranging research and analysis of political, social and religious conflicts that have a direct bearing on both national and international security. The PIPS approach is grounded in field research. Our surveys and policy analyses are informed by the work of a team of researchers, reporters and political analysts located in different areas of conflict in Pakistan. The Institute endeavors to make a contribution in resolving national and international conflicts through a knowledge-based approach. We believe that the first step in resolving violent conflicts is to understand them from all possible angles and dimensions. The framework of conflict resolution envisaged by PIPS draws on the efforts of researchers, academics and media persons who have a deep knowledge and direct experience of dealing with national, regional and global issues. Another primary aim of the PIPS is to promote a better understanding of the threat of violence and terrorism emanating from a variety of sources in Pakistan and abroad. In pursuit of these goals, the PIPS team collects, processes, interprets and disseminate information relevant to our mandate and conducts independent policy analysis. This process is complemented by our skills and training activities which are designed to promote public awareness and build domestic constituencies for peace in Pakistan. We also aim to keep a close liaison with some of the leading global peace and security institutes and think-tanks. The purpose of building this domestic and international network is to create space for alternative views and approaches. The Institute’s scope can be divided into two areas: research and analysis and, based on that, advocacy. PIPS carries out and disseminates policy analysis and research studies on the regional and global strategic issues such as conflict and development, political violence, religious extremism, ethnic strife, terrorism, governance and democracy, foreign relations, and cultural learning of policy-making processes. It also conducts dialogues, trainings and other educational programs for strengthening partnerships and resolving inter-state conflicts, and clashes between the government and the public – including various sections of the public within the framework of civil society. * Provide training in conflict management and resolution techniques including mediation and negotiation skills, to governments, civil society leaders, and international organizations and enhance their understanding of the domestic and regional socio-cultural milieu. * Support a continuous and concerted exercise of dialogue to de-escalate the conflicts in Pakistani society particularly those existing at socio-cultural, ideological, religious, sectarian, communal and ethno-political levels. * Sharing of knowledge and best practices with Pakistani and international scholars through holding national and international events of debates and policy dialogues. * Sponsor and participate in security dialogues and regional and global conferences. * Capacity building and training of media persons to improve their understanding of the conflicts and conflict-sensitive reporting, democracy and constitutionalism. An internet academic magazine resource, SouthAsiaNet focuses on regional and global strategic issues. It carries reports on a range of economic, political and military aspects of security. In addition to research papers and journalistic reports, this project provides space for exclusive profiles of various political, religious and militant outfits that are active in South Asia, East Asia and Central Asia. courses and internships are open to academies, scholars, researchers, analysts, students and civil society activists. Besides printing outcomes of its research studies, surveys and policy analyses in form of books, monographs and reports, PIPS also publishes a periodic research journal Conflict and Peace Studies. Since 2008, it has regularly been published as a quarterly research journal and well received by academic and research quarters. Starting from 2013, it has been published biannually with one issue coming out in the spring and another in the autumn. Conflict and Peace Studies carries high quality, peer-reviewed research and analysis on issues related to conflict and peace in Pakistan and wider region in empirical and policy perspectives.